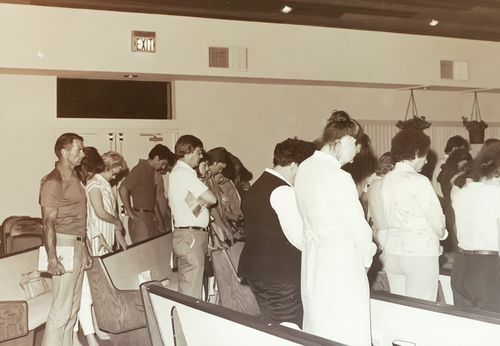 The Bridge began the first Sunday in March 1973 with about 12 people in attendance under the leadership of Pastor Chuck Wooley. 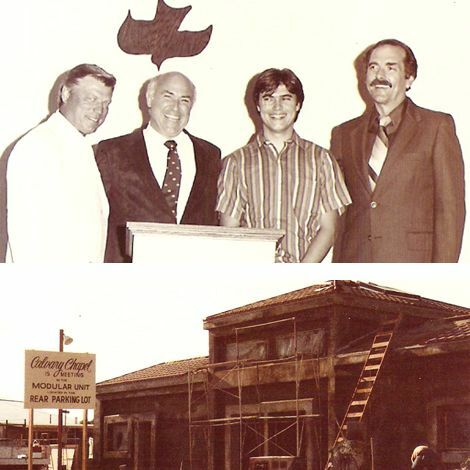 The church was called at that time Christian Faith Center and affiliated with the Calvary Chapel movement in 1975. Pastor Chuck has remained the church’s pastor for the last 45 plus years. He also served as Chaplain for Riverside County in the Juvenile Justice system for many years overseeing all of the religious activity and counseling in Juvenile Hall. In addition he was a staff instructor at Calvary Chapel Bible College both at the Twin Peaks and Murrieta campuses. Pastor Chuck is currently teaching the Word of God on Sunday morning. Our mission is Connecting People to Jesus! The Bridge - Calvary Chapel has been formed as a fellowship of believers in the Lordship of Jesus Christ. Our supreme desire is to know Christ and to be conformed into His image by the power of the Holy Spirit. We Believe: Jesus Christ is the foundation and cornerstone of the church. He came to restore man’s broken relationship with God. His finished work on the cross made that possible. Because of His love demonstrated on the cross by dying for our sins, we now have reason to fellowship with one another and proclaim salvation through His life, death, and resurrection. Christian Growth: Our supreme desire is to know Christ and to be conformed into His image, likeness, and example by the power of the Holy Spirit. We encourage this by abiding in Jesus Christ through His Word, prayer, and fellowship, and by yielding our lives to the Holy Spirit. Love: is the greatest virtue and demonstration of the reality of Jesus Christ. We endeavor to show a Christ-like love toward all men. Love should be exhibited in our lives by our words as well as our actions.